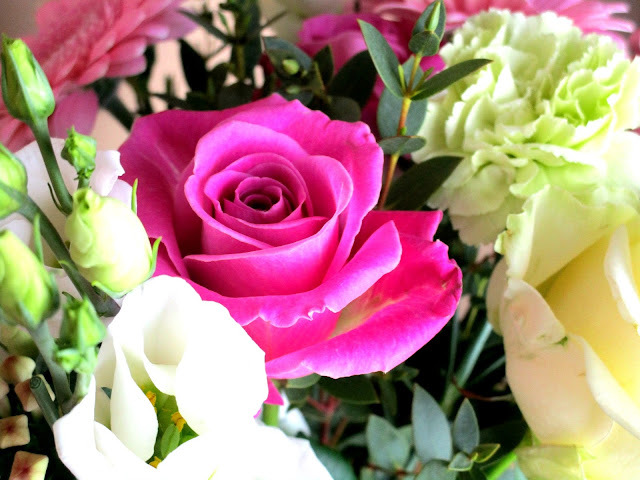 It's that time of the year where Spring is creeping ever closer (thank goodness) and we start planning on how to spoil our wonderful Mum's for Mother's Day, so today I have a pretty amazing bouquet from Debenhams Flowers to share with you all that I think all of our mummy's would absolutely love to receive on Mother's Day . 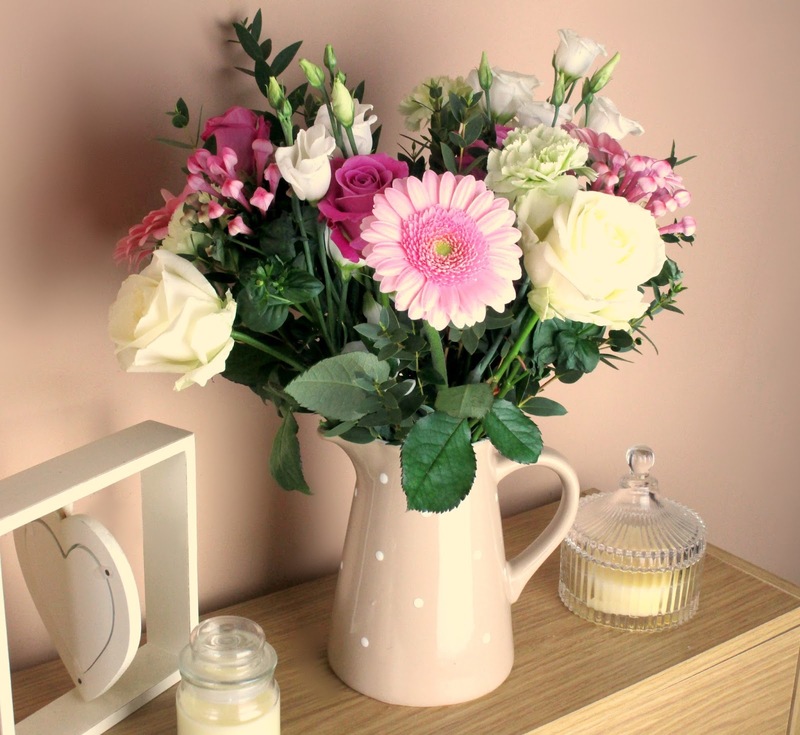 Debenhams have an array Mother's Day Flowers to choose from as well as other bouquets to suit any season and occasion but I instantly fell in love with their Mum's Pink Rose & White Freesia Bouquet* (£31.99) when I saw it. The bouquet arrived in a large, well padded upright box which I thought was great, not a single flower or even a leaf was out of place or damaged, they where also beautifully wrapped which certainly makes the bouquet look that extra bit special, especially if your gifting someone a bouquet, and they come complete with care instructions and food so you can get the most out of your bouquet. 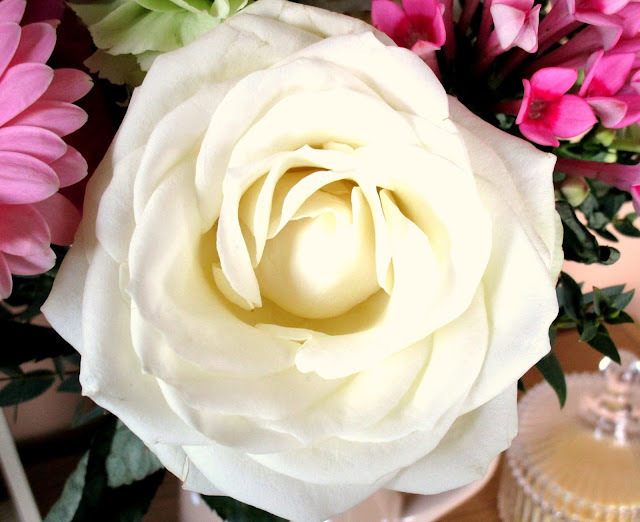 The Mum's Pink Rose & White Freesia Bouquet contains 3 Pink Roses, 3 White Roses, 10 White Freesia, 5 Ruscus and 3 Bupleurum which together makes the perfect bouquet for Mother's Day and the colours are so pretty for springtime too. 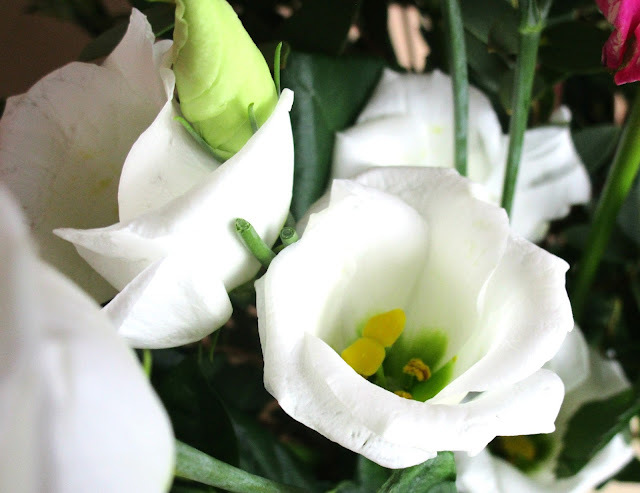 I have to add that as well as my bouquet looking amazing it smells amazing too, I close my lounge door in the evenings and when I open the door in the morning the smell is just divine, arrhhhh I love it. The delivery of this bouquet was amazing....I love how Debenhams make it so easy to deliver and send the bouquets, you can add a personal message and select the exact date you wish your bouquet to be delivered on, this is great when your sending a bouquet as a gift. Debenhams also have a gift option with most of their bouquets where you can add a vase, chocolates, wine, cake and more to your order which again I think is a great idea. 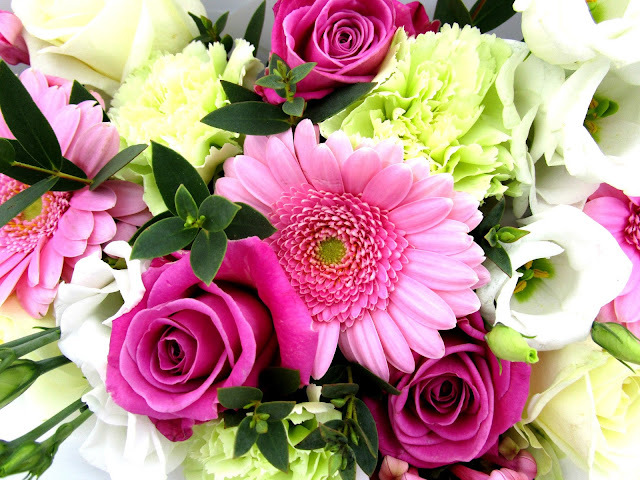 Will you be buying your Mum flowers this Mother's Day? What kind will you go for? I'd love to know! Those flowers are beautiful! I know my Mum would love to receive them for Mother's Day... Flowers are always a safe bet to! The Flowers Are So Pretty I Love The Colors!